Since this has been posted so many times before, I think it is now incumbent upon you to just sing along…Sunday morning karaoke. You’ve got everything you need – a cup of coffee, some rain to muffle any questionable notes, a spoon for your microphone. You’ll get to the paper in a few minutes. Right now, clear the cobwebs out of your throat, close your eyes and just start the day with a song. Posted on July 22, 2012 by mimijk •	This entry was posted in friendship, inspiration, life lessons, love, mindfulness, music. Bookmark the permalink. Workin’ it here in my kitchen, Mimi, while baking cookies for a BBQ later this afternoon. I have SO got my groove on. Bug and Beau are sprawled out on the floor, watchin’ Mom with raised eyebrows…. ;-). Happy Sunday! They’re waiting to assume their roles as royal tasters…Bake away, have a great time at the BBQ!! You’re right – you have totally got your groove on! They’re gonna have to get in line behind David–he’s circling in a holding pattern around the cooling rack. ;-). Hope you have a beautiful Sunday, too! Love this song. And perfect for Sunday morning. Thanks for sharing Mimi. I think you posted it first – but I’m happy that you still like it.. Thanks thanks thanks. I love this song and I love the sway it adds to my day! 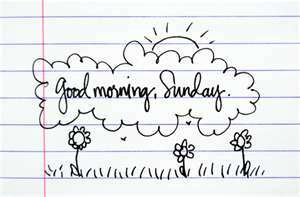 Happy Sunday Mim…mwah! You already have the sway babe – I just put it to music..mwah! Sounds yummy! (the ravioli, not the writing – though I’m sure the writing will be excellent)…Enjoy! Perfect, just perfect. Got my coffee, a quiet house and well, you’ve convince me to sing [if a bad singer sings in an empty house, did it really happen?] and it’s just a great way to start out our day of getting packed up and rolling on out of here. It will be stuck in my head all day – and that’s fine by me! Happy Sunday back at ya! It’s a great song to have stuck in your head!! Pack well and have a great trip!! And if you’re alone in your house, trust me, you can prepare your Grammy award speech.. I hope you have a wonderful time – and if you sing with confidence, the boys may just believe that in their midst is a legitimate talent!! I just got the alone in the house reference…duh…I suppose my brain has already departed. That is wonderful – thank you so much!! Sunday morning, Monday lunch hour… whatever. It is still good. Thanks, Mimi! It’s one of my favorites too..Happy that it added enjoyment to your Sunday..